The motherboard ensures collaboration between individual computer components. It is an important part of every PC. The socket is used to connect the motherboard and the processor. The processor and the particular motherboard must have a compatible (identical) socket. 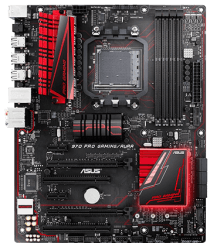 First, choose the processor, and then select a motherboard with a matching socket. These are rare and very expensive gaming motherboards that are mainly used by people who want to install three or four graphics cards into CrossFireX or SLI. Other features are similar to what you can find on the most expensive ATX models. 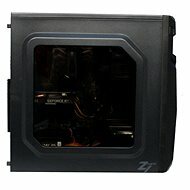 To install an eATX motherboard, you will need a really large PC case (Big Tower). Standard ATX motherboards are suitable for powerful and well-equipped computers (either gaming or workstations) and they allow you to install multiple expansion cards, including several graphics cards in CrossFireX/SLI. On the back panel, you can expect a wide range of ports for external devices. These motherboards have plenty of connector space, so you can easily connect individual components and keep your computer cool (assuming you pick a good PC case). 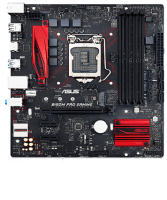 If you don’t want to spend much money on a motherboard and only need one graphics card (the most expensive mATX motherboards will give you two or three) and one or two expansion cards, a Micro ATX motherboard is exactly what you need. This type is ideal for office computers and multimedia PCs. Additionally, most mATX motherboards are spacious enough to let you install powerful CPU heatsinks. Their compact size, however, makes them suitable for Mini Tower PC cases. 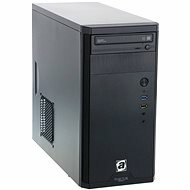 Ideal for very compact office and multimedia computers (Desktop). These motherboards are really small, so you can forget about installing any large tower CPU coolers, as well as having any expansion slots except for a single graphics card. 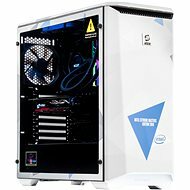 While these motherboards do include some gaming models, keep in mind that you would need to choose the PC case very carefully in order to keep the powerful PC components cool enough. (Generally speaking, we do not recommend buying a Mini ITX motherboard if you want to build a powerful gaming PC or a workstation). What Chipset Should You Choose? The chipset affects how many expansion cards and peripherals you can attach to the motherboard and what types, though it also has a significant impact on performance. They also determine whether you can overclock the processor or not (assuming your processor supports overclocking). 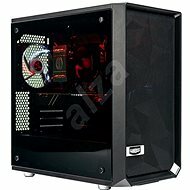 If you plan to upgrade your computer occasionally, it pays to splurge on a model with a higher number of modern connectors and slots (in other words, a more expensive chipset). However, if you buy or build a whole new PC with each new generation of processors or you are the so-called casual user, then you don’t have to worry about this too much. H110 (socket 1151) - for office and multimedia computers, usually used in systems where the graphics card is integrated in the processor. 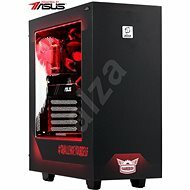 B150/B250 and H170/H270 (socket 1151) - games, amateur video and 3D graphics creation and editing, does not support overclocking. 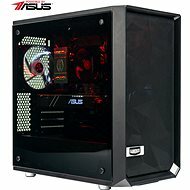 Z170/Z270 (socket 1151) - games, VR, amateur video and 3D graphics creation and editing, supports overclocking. 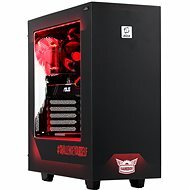 X299 (socket 2066) - workstations and servers, professional gaming, VR, professional video and 3D graphics creation and editing, supports overclocking. C612 (2× socket 2011-3) - specialised server motherboards with extra space for the installation of two Intel Xeon processors. You can find a more detailed comparison of Intel chipsets in our Glossary. A320 (socket AM4), AM1 (socket AM1) - for office and multimedia, usually used in systems where the graphics unit is integrated in the processor. B350, X370 (socket AM4) - games, VR, video and 3D graphics creation and editing, supports overclocking. 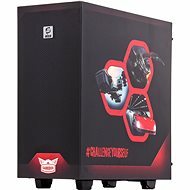 CrossFire works on both chipssets, SLI requires X370. 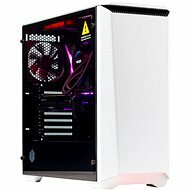 X399 (socket TR4) - workstations and servers, professional video and 3D graphics creation and editing, supports overclocking. You can find a more detailed comparison of AMD chipsets in our Glossary. Motherboard specifications usually include the maximum clock speeds you can achieve by overclocking (OC). If you want to make use of everything your PC offers, get RAM modules with a higher clock speed than that of the processor memory controller – this will give you enough room for overclocking. As long as you stay below the speed listed by the manufacturer, you can use your modules without any worries. If you want to use automatic overclocking (available with some Intel processors), you should use memory modules with XMP technology. Dual/Triple/Quad Channel - if you equip your system with the recommended number of multi-channel (2/3/4) modules or double it, you can increase your computer’s performance, especially when dealing with demanding computing tasks and games. For proper operation, you may have to use the same memory modules in all slots. Maximum number of modules - corresponds to the number of memory slots in the motherboard. Memory type (DDR3/DDR4, etc.) - the memory type must always match the motherboard or processor specifications. Voltage - the RAM voltages must always be the same or lower than the maximum voltage supported by the motherboard. Capacity - When installing RAM modules, you must not exceed the maximum capacity of the memory slot on the motherboard, or the total maximum capacity of all the modules counted together. 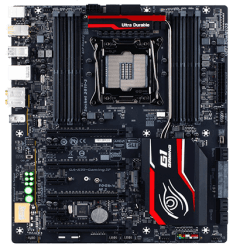 Some Mini ITX motherboards use the SO-DIMM system memory you normally find in laptops, so if you want to upgrade your PC, you must choose your RAM modules from the laptop memory category. PCI-Express ×16 - used for installing graphics cards. If you plan on installing several high-performance graphics cards, check how many PCI-Express lanes are available in each slot. PCI-Express ×8/×4 - for expansions with additional cards that require exceptionally fast data bandwidth, such as network cards or RAID controllers. PCI-Express ×1 - for non-demanding cards, such as sound cards, TV cards, capture cards, etc. PCI - conventional output interface. If you are not planning to install any older cards, chances are that you won’t need it. M.2 and U.2 - used to connect high-speed and highly compact SSDs with NVMe or SATA III interface. The number of lanes (the number after ×) determines the maximum slot bandwidth. Keep in mind that you can install a PCI-Express x1 card into a PCI-Express x4/x8/x16 etc. slot, but not the other way around, as you would be limited by the insufficient length of the slot. To put it simply, always make sure that the number of lanes supported by your PCI slot is the same or higher than on your card. Video (image) - DVI, HDMI, DisplayPort, miniDisplayPort (used by Thunderbolt 1/2), USB-C (used by Thunderbolt 3). Audio (sound) - 3.5mm jacks (speakers and headphones), optical connections (TosLink - external DAC, A/V receivers, etc.). Data - USB 2.0/3.0/3.1, USB-C, PS/2, RJ-45, eSATA, COM/LPT, WiFi antenna(s). If you're a fan of clear, undistorted sound and use high-quality speakers (Hi-Fi or studio monitors) or audiophile headphones, you should expand your motherboard with a good sound card or an external DAC. Serial ATA (SATA III, SATA Express) - classic hard drives, SSHDs, and 2.5" SSDs. USB - serve to feed external USB ports on the front/top/side panel of the PC case (supported by every motherboard). Front audio panel - to feed the headphone and microphone connectors on the front/top/side panel of the PC case (supported by every motherboard). I/O stands for Input and Output. I/O connectors therefore serve to provide bidirectional communication of peripherals and components with the motherboard. CPU FAN - for connecting the CPU fan. The vast majority of motherboards have two of these. The second one is usually called "CPU OPT FAN", "CPU FAN2" and so on, and is used to connect a secondary fan required by powerful CPU tower coolers. 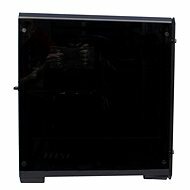 Chassis FAN - for connecting additional fans to the case. High AMP FAN - for connecting high-speed fans with a large power draw. Hybrid FAN, W PUMP FAN, etc. - for connecting water pumps or high-speed fans with a large power draw. 3-pin connector - only voltage speed control (if supported by the motherboard) is possible; the speed control range is narrower than what you get with PWM control. 4-pin connector - supports PWM speed control to reduce fan speed down to a very low (almost inaudible) noise level. Temperature sensors - give you the option to control fan speed and water pump performance based on the current motherboard temperature. 4-pin and 3-pin fan connectors are mutually compatible. A fan with a 4-pin connector can be controlled both through PWM and voltage control; a 3-pin fan supports voltage control only, since it does not have a PWM pin. 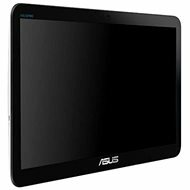 The BIOS is primarily used to boot and configure the motherboard hardware and then boot the operating system. Updating the BIOS is only needed when something “doesn’t work” (so to speak), for example, if you need to install a new processor that the old BIOS does not recognise. The motherboard manufacturer always states what new features it has added for each BIOS version. 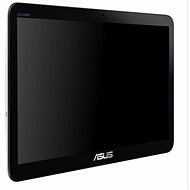 UEFI/EFI BIOS - speeds up computer booting, contains a graphical interface, supports GPT boot partitions, and brings other benefits. Dual BIOS - the motherboard has two BIOSes; if one fails, it automatically boots from the other. This is particularly useful for overclocking. Bluetooth - wireless connection with keyboards, mice, phones, tablets and other Bluetooth devices. WiFi - wireless connection to home or business networks. For computers that are always hooked up in one place, have a permanent network connection, and require high data rates, it is better to connect them using the more reliable Ethernet (LAN, RJ-45) connectivity. With compact PCs that you occasionally move around, WiFi would be a better choice. HW buttons - usually used to reset or load the latest BIOS function, or to turn on and restart the computer (ideal if you overclock outside the PC case). SW buttons (automatic overclocking) - software that comes with some motherboards; ensures safe automatic overclocking of the processor or memory. NVIDIA SLI/AMD CrossFire - for connecting several graphics cards. 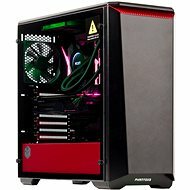 AMD Dual Graphics - allows you to connect the integrated graphics processor core with select Radeon dedicated cards for increased performance. Status display - makes identifying errors much easier. Use the appropriate code to find the exact cause of the error in the manual. RAID controller - allows multiple drives to be coupled to a disk array in order to increase speed, reliability, or a combination of both. If you are planning to use WiFi or Bluetooth, you don’t have to limit yourself only to the models that have built-in Bluetooth and WiFi straight from the product line. Both of these adapters can be connected to any motherboard via a Bluetooth or WiFi USB dongle. Computers, or PCs, are currently used in almost all fields of human activity. They have become an integral part of our lives. Few, however, would believe that the word "computer" originally referred to a person who performed calculations. The modern definition of the word first occurred when American scientists began work on the production of the first atomic bomb. The term "PC" (personal computer) first entered the lexicon in 1981, with the introduction of the first IBM PC (IBM 5150) to the market. Since the first IBM PC, computers have evolved beyond recognition. Monochrome CRT monitors have been replaced by thin, modern LCD displays; cumbersome computer cases have been replaced with sleeker, more stylsh designs. Individual components inside the computer have also seen rapid progress. Today's processors contain at least two cores and operate at frequencies thousands of times higher than those of the first PCs. Graphics cards achieve such high levels of performances that gamers can enjoy lifelike visual experiences. Sound cards offer true multichannel audio as immersive as an action movie. So what should you look for when selecting a new computer? 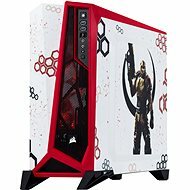 Important parameters include a good motherboard, a powerful processor and graphics card, a sufficient amount of RAM, expansion capabilities, and the size of the hard drive. You should also consider whether you want a DVD burner or Blu-ray drive, and which operating system (usually a version of Microsoft Windows) the computer runs. 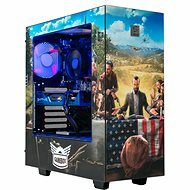 Last but not least, consider the overall appearance and design of the computer.